Version 948 problems - Got a Question - Alfred Center | get the most out of the best home security app! 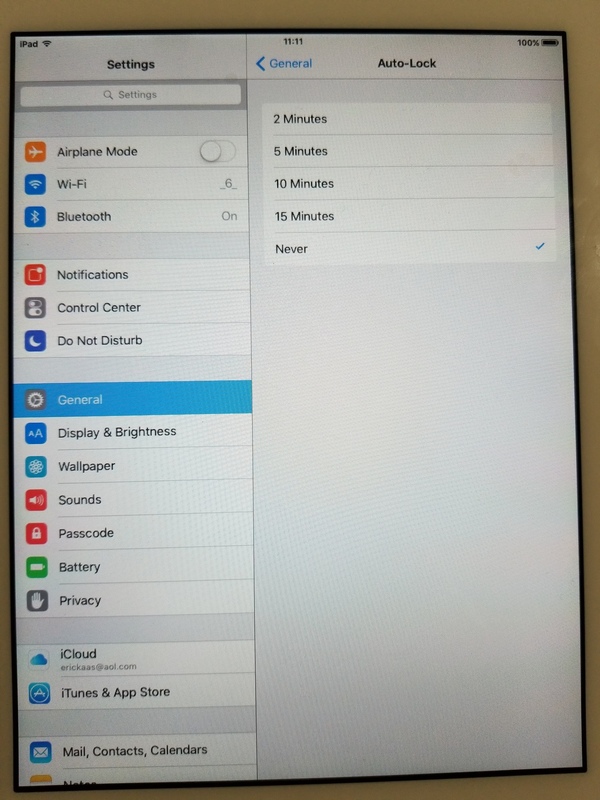 I’ve had two recurrent problems with my iPad mini 2 since updating to version 948. 870 was working normally. One problem is that Alfred discontinues power-saving mode on its own. I tap the lock icon, the screen goes blank, and a few hours later the screen is back on again. Tap the lock, does it again. Could be an hour, could be a day, seems random, but it unlocks itself. The other problem is that switching from back to front camera, from the app or the webapp, will sometimes (unpredictably) kick the camera offline. It will come back on in anywhere from a few seconds to a few minutes. 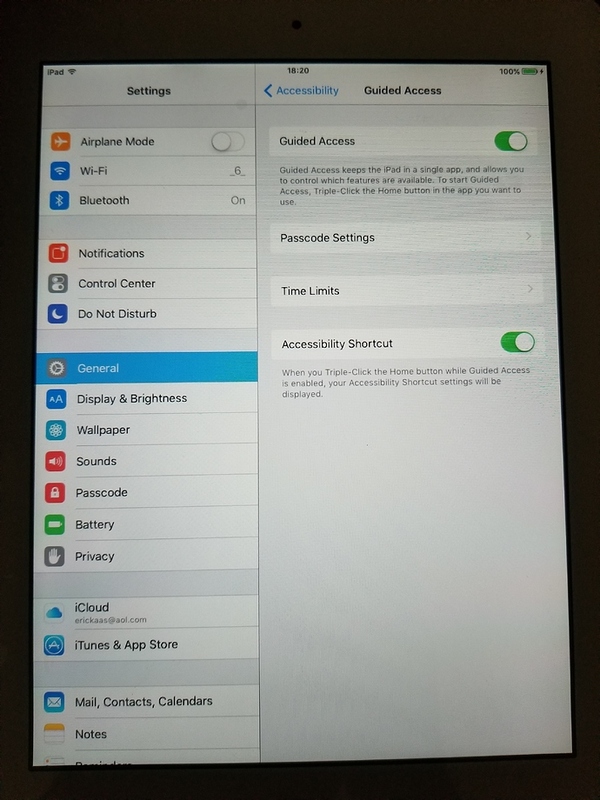 The iPad is stripped of all other apps, notifications are off, and guided access mode is on. We’re sorry for what you have experienced. We have updated Alfred on App Store to fix this issue. Please go to our App Store page and update Alfred to the latest version. Also, please ensure you have enabled Guided Access by following the instructions of this post prevent disconnections caused by app crash. I’m sorry, but not helpful. I’m already at the most recent version according to the Apple Store; there is nothing new to download. And as I pointed out in my question, I have all notifications off and Guided Access engaged. 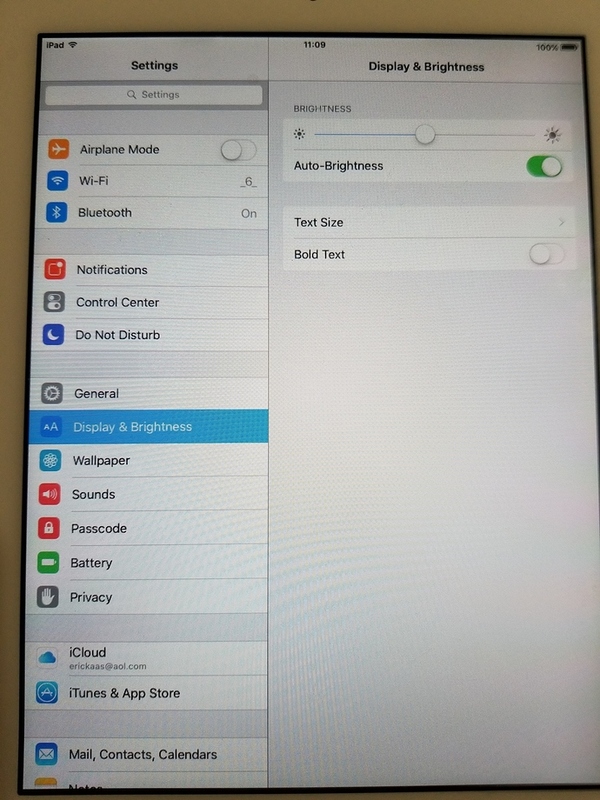 I had access to the iPad’s location and was able to watch it. Power save (screen lock) goes off when I connect to the iPad. It doesn’t have to be to Alfred, just connecting to it via iTunes to back it up will bring the screen back on. I hope that is helpful in diagnosing the problem. This only began when I updated to version 948; version 870 did not do this. I was also able to watch the iPad as I switched cameras, and caught it doing one of the going-offline-with-camera-switch episodes. The app quit entirely when I switched camera, then restarted itself a few seconds later. I had just switched from back camera to front, then switched back to the back camera when I did it. Again, all notifications (other than Alfred) are off, and Guided Access engaged. Version 948 does it, version 870 did not. Thanks for providing the details. We have reported this issue to our engineering team and we will try to identify the cause as soon as possible. Also, would you please take a screenshot of your Guided Access setting page? Screenshot attached. My iPad (iOS 9.3.5, the most recent it will use) doesn’t have a Mirror Display Autolock setting. Guided Access and Accessibility Shortcut have always been on. Thanks for providing the screenshots! Have you changed the screen off time to “Never”? Reinstalling Alfred might help, too. Our engineers are working on identifying the issue. Please stay tuned to the next update! Let us know if you have further question/feedback. I am having the same problem as Lee. I am also running iOS 9.3.5 on a 1st gen ipad. How can I roll the app back to the previous Alfred version until the new version is released? 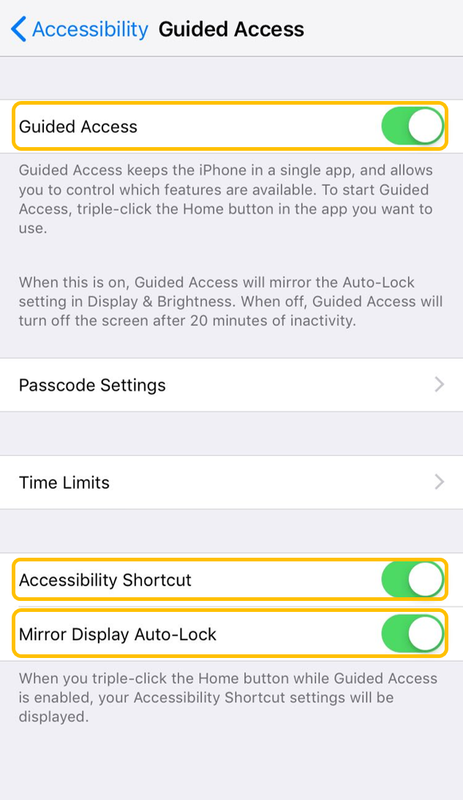 Could you please try to set the screen-off time to “Never”, DISABLE Guided Access, and DON’T tap the lock icon after you set up the Camera to see if the issue persists? Unfortunately iOS 9.3.5 does NOT have a screen off time setting. See that attached screenshot. Please point me to a legacy version that works with my iOS version. 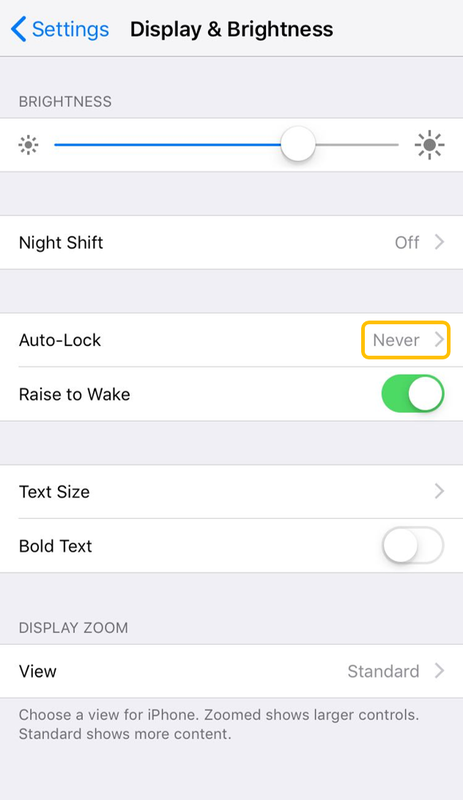 Auto lock in iOS 9.3.5 can found under general > auto lock. Does the issue persist after the setup? Yes it does I have even gone to the extent of moving the cameras to an easier place to reach. Could you please take a screenshot of your Guided Access setting page and tell us a bit more specifically about the issue you’ve been experiencing?